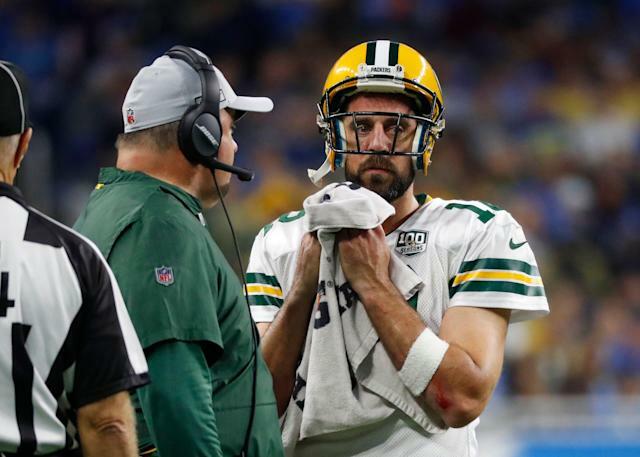 Last week’s blistering Bleacher Report story on the Green Bay Packers painted a picture of dysfunction over the course of years in the locker room centered on former head coach Mike McCarthy and quarterback Aaron Rodgers. Rodgers ripped the report Monday in his first public response to the story, calling it a “smear attack” featuring “mostly irrelevant, bitter players” with agendas in an interview with ESPN Radio’s “Wilde and Tausch” hosted by former Packers tackle Mark Tauscher and radio personality Jason Wilde. Bleacher Report’s Tyler Dunne told a story of dissent between the two Packers power players that existed from Day 1 of their relationship, with Rodgers holding angst toward his former head coach after McCarthy’s 49ers bypassed Rodgers for Alex Smith in the NFL draft when he was the offensive coordinator in San Francisco. 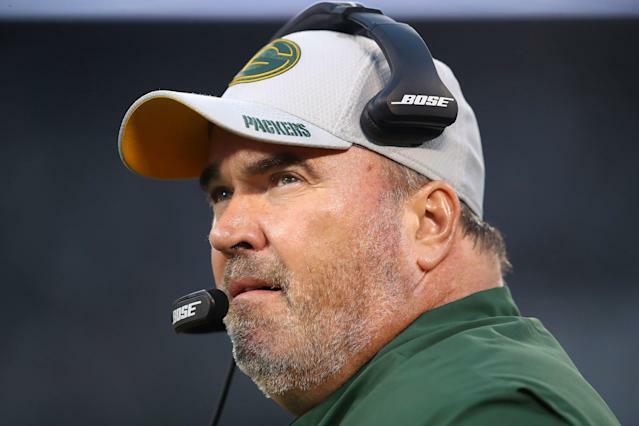 McCarthy comes across as incompetent and aloof in Rodgers’ eyes while Rodgers is described as overbearing and a difficult teammate lacking leadership qualities in the locker room, with anonymous and named Packers sources criticizing the Green Bay quarterback. After firing McCarthy during the season, the Packers eventually hired former Tennessee Titans offensive coordinator Matt LaFleur as head coach, a decision that was made solely by team president Mark Murphy, according to the Bleacher Report exposé. Murphy called Rodgers and told him about the hire made without consulting Rodgers, telling the quarterback “Don't be the problem,” according to the report. “It’s ridiculous,” Rodgers said. “It is 100 percent patently false. So it’s either he made that crap up, or what he would probably do as a writer is say this is my sources’ problem, they told me something. Two of the named Rodgers critics in the Bleacher report story were former teammates Greg Jennings and Jermichael Finley. Jennings, Rodgers’ top target at wide receiver for four seasons, told Dunne he felt betrayed by Rodgers in 2012 when he said that Rodgers suggested in a game against the San Francisco 49ers that Jennings leave in the offseason to play for them. Jennings says he walked in free agency after that season with no support from Rodgers or his teammates to return. He left that offseason for the rival Minnesota Vikings. When asked about Jennings and Finley by Wilde, Rodgers did not mince words. Rodgers also discounted the discord reported between himself and McCarthy, describing a relationship that had its issues but was overall a strong one. "I love Mike McCarthy,” Rodgers said. “He's a great man. He's got a huge heart. He really cares about his players, and he showed that to us. ... As far as a player to a coach, it's just two Alpha males who are hyper-competitive and love winning and are both a little stubborn. But, again, we talked through so many different issues over the years, and that made us a lot stronger." He specifically addressed the part of the report that described Rodgers as undermining McCarthy’s play-calling. "The beauty in our on-the-field relationship was that there was a ton of trust,” Rodgers said. “When I read stuff like, 'I'd disrespect him by changing all these plays,' I had a lot of latitude. He knew that and I knew that. I called the two-minute, I'd call stretches of no-huddle offense. Rodgers isn’t the first person featured in the story to attack the reporting. One of the most talked-about aspects of the story is an account that McCarthy would skip offensive meetings during game weeks to get massages during a period where the head coach was “more and more checked out. McCarthy challenged that account last week in an interview with NFL Network’s Tom Pellisero. “I wouldn’t even know where to start and stop with the article,” McCarthy said. “But to say that I skipped a team meeting for a massage is utterly absurd. Dunne’s account of what happened behind closed Packers doors and that of the players involved in the report are wildly differing, and legacies are at stake. As the story has put Rodgers and McCarthy’s relationship in a negative spotlight, Rodgers’ response is to discredit the report at its source.